"Brown employs agitated expressionist line and subtle iconographic symbols to energize and disguise this mask-like imagery." PacePrints, NYC 1988. 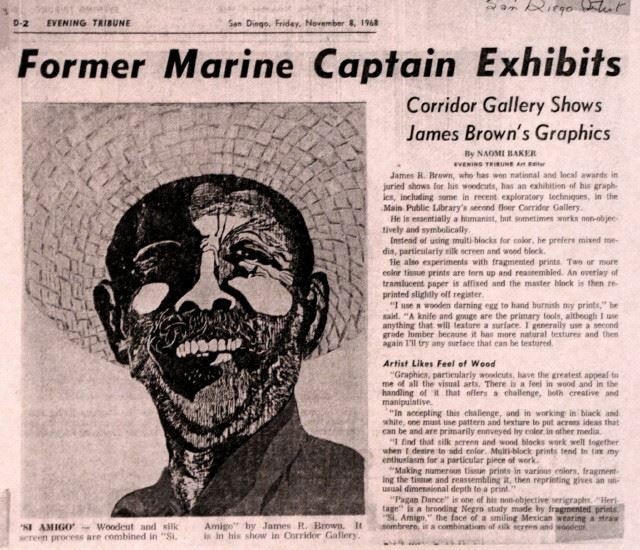 Captain James Brown studied art at the Coronado School of Art under the G.I. Bill when he retired from active duty as a Marine. 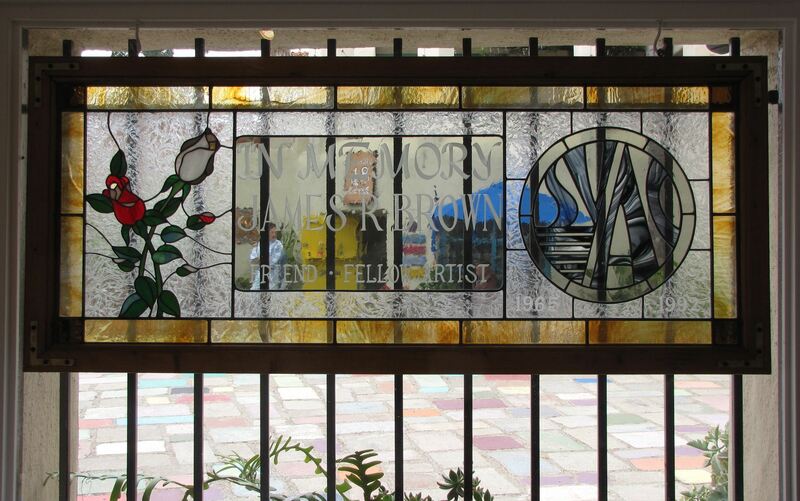 Monty Lewis (another Artists Guild member) directed the Coronado School of Art where many aspiring artists studied. Brown founded Gallery 21 as a space open for artists to sell their work. Up until then, Spanish Village had been a group of working art studios only. Memory of Japan is based on his memories of his time as a POW in Japan. 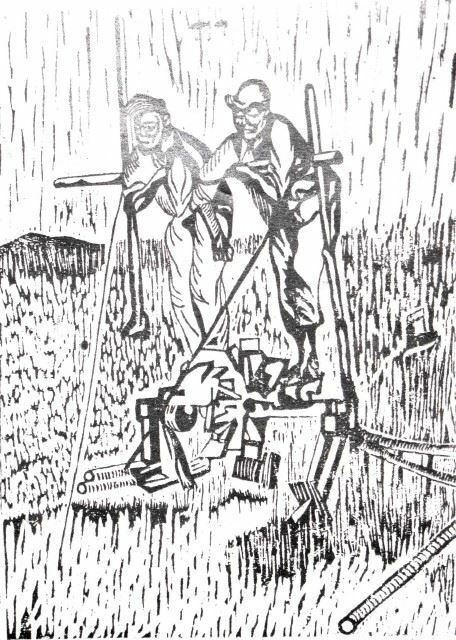 He saw boys working the land using ancient techniques. 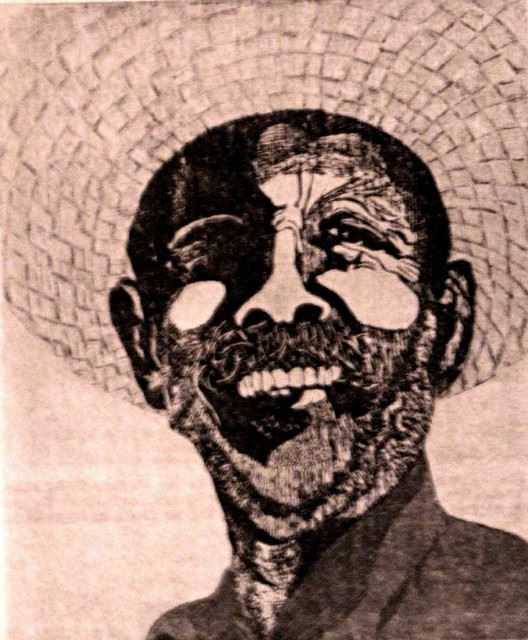 Si Amigo is a combined woodblock print and silk screen piece. It's very engaging, eh? 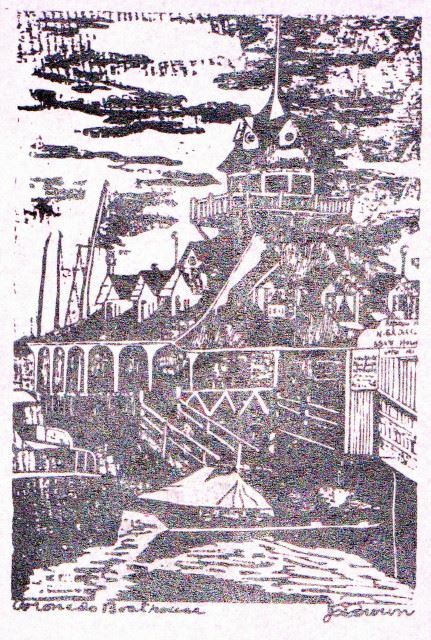 Brown was known for his creative use of printing techniques. Lenore Simon, Angelika Villagrana and Julianne Ricksecker are three contemporary Guild members who are printmakers. They all treasure their own memories of Brown and his inspiring work. When the Artists Guild has its exhibit in Gallery 21 January 1 - 13, 2014, we can thank Captain James R. Brown for his foresight and his leadership in making this attractive space available. The legacy of the San Diego Museum of Art Artists Guild surrounds us on all sides.